I'm the wife of OFFICER, whom I'm madly in love with. 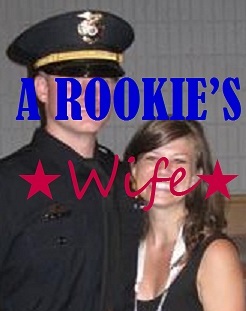 And these are my stories of being A ROOKIE'S wife. On a somber note, my thoughts and prayers are out to the New England states in the wake of Sandy. Remember to think about all the people without homes, electricity, etc. And think of all the LEO families that are without their mates, because whatever the nation runs from, LEO's run to.